Key West Fishing Tournament – Open to the public! The Key West Fishing Tournament (KWFT) is an 8-month long competition that is open to the public whether fishing from a boat, land or bridge. Visiting and resident anglers are encouraged to enter their weighed and released catches, at no charge, to compete for awards. All entries receive a certificate noting their catch, ‘Outstanding Angling Achievement’ and ‘Sportsmanship Award’ for releases. KWFT has 4 angler divisions, Men, Women, Junior (age 10-15) and Peewee (under 10). Anglers in each division win an award for the heaviest of 33 species in 9 different line classes, 8 lb. test, 12 lb. test, 20 lb. test, 30 lb. test, 50 lb. test and an Unlimited test class. There are also 3 ‘artificial’ (no bait) divisions, Spin, Plug and Fly. See Angling Categories for rules. The KWFT awards a ‘Master Angler’ title to both in-county and out-of-county residents in Men, Women, Junior and Peewee divisions. 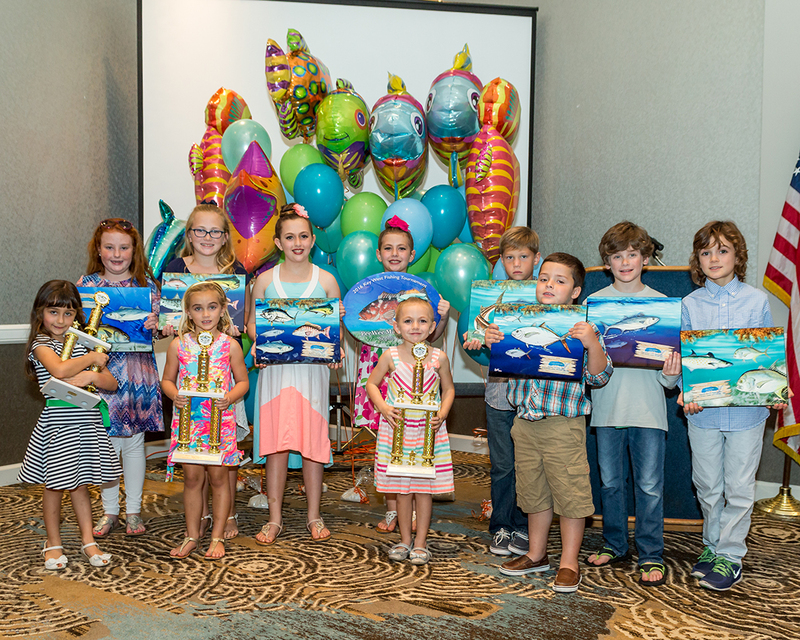 A ‘Most Releases’ title is awarded for Barracuda, Blue Marlin, Bonefish, Dolphin, Permit, Sailfish, Tarpon, Most Releases Overall and Most Releases in the Peewee division. See Criteria for Master Angler for rules. Charter captains and mates also receive awards for Guide Achievement and Most Releases. With great appreciation, the KWFT is funded by the Monroe County Tourist Development Council and the many sponsorships of business owners that are committed to supporting this historical fishing tournament. Show your support of the KWFT as well with your patronage at these many businesses. See Sponsors page for a complete list. The 2019 Tournament is upon us! The 2019 tournament year will begin on January 1st. and will continue until August 31st. See below for entry form or online entry.